“Gross Polluters” are vehicles that emitted high levels of pollution into the air when operated. Approximately 10 to 15 percent of the vehicles in California are considered to fall into this category. However, gross polluting vehicles are said to be responsible for as much as 50 percent of the smog that is experienced throughout the state creating a real need for these vehicles to be repaired and inspected. 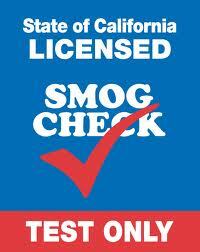 At A & G Smog, we can conduct “Gross Polluter” smog tests for you. We have the equipment and experience to help pinpoint the problems within the vehicle that may be causing the pollution emission that is keeping your vehicle from passing state mandated regulations. While we are a test-only center, our licensed and certified technicians can perform the smog inspections needed on these vehicles in a fast and efficient manner. You will be given a report of our testing to provide to a repair center that will clearly detail any issues that may need to be corrected on the vehicle to extend its lifetime for you. Our clients have found that the Gross Polluter smog checks that are conducted by A & G Smog are very accurate. Having our reports will prevent repair centers from taking advantage of you when having repairs performed. We believe in providing all clients that entrust their Gross Polluter smog checks to our company should always have the ability to place their confidence in knowing that we are honest, dependable, and affordably priced for all smog testing we conduct at our service center.